Vi är på plats för dig! Du kan nå oss per telefon under 0046-812160701 från måndag till fredag 08:00 - 18:00 eller via vårt kontaktformulär. Den 19:e och 2019-04-22 och 2019-05-01 är vår produktion stängd. Leveranstiderna kan på grund av detta förlängas med 2 till 3 extra arbetsdagar. Vår kundservice kan inte nås. Vi ber dig om förståelse för detta. Business cards are a small, handy and highly practical way to present yourself to others so they will be sure to remember you. They make it easy to enlarge your social network and stay in touch with important business partners. Give your business cards a bit of extra protection. Enhanced with film lamination, they stand up to the big and little challenges of everyday life with ease. You can count on them to last and last without losing their good looks. We say yes to protecting the environment! 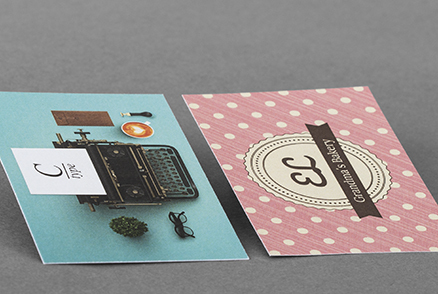 That’s why we offer you business cards printed on eco-friendly materials and natural papers. They are recyclAvailable from le, uncoated and an Available from solute blessing for the environment. 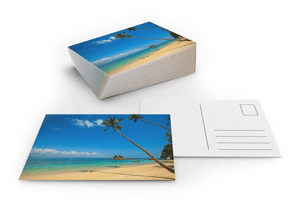 Our folding business cards are ideal for a wide range of uses. 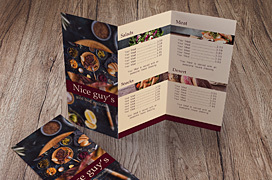 Do you want cards printed with your contact data, or are you looking for attractive customer loyalty cards? Our classics are perfect for both! White was yesterday! 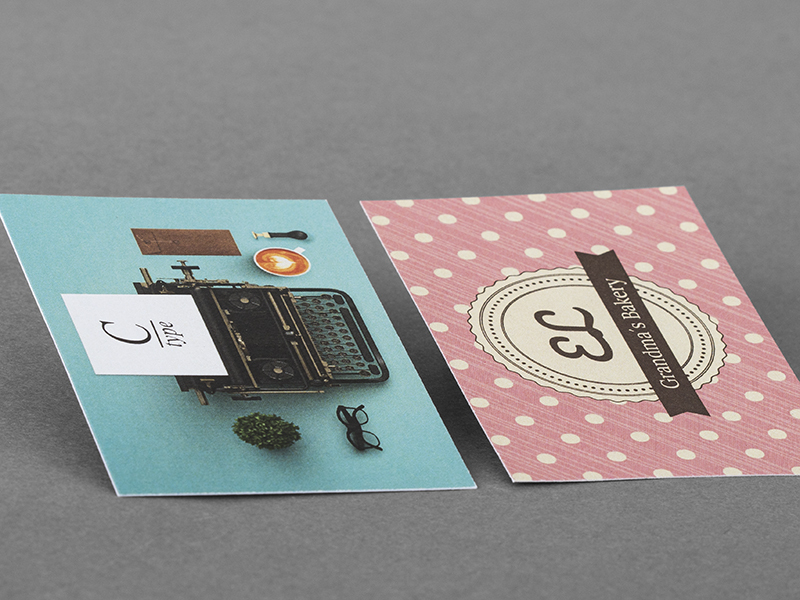 Today, our multilayer business cards with colour core inject emotion into the drab world of business. Make a friendlier, more creative, more varied impression! 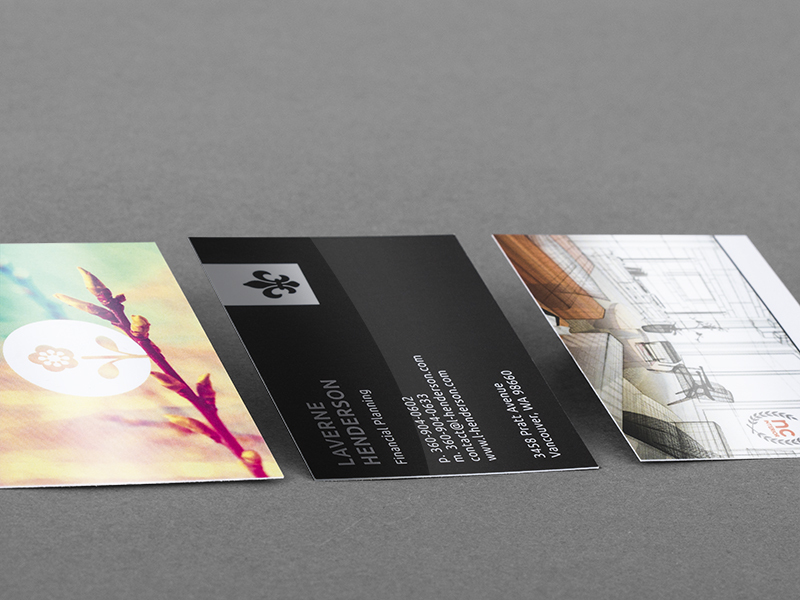 Our three-layer business cards are characterised by extra thickness and strength as well as attractive colours. Our bundles let you easily provide each member of your staff with personalised cards. All of them naturally emblazoned with your logo and corporate design. Ideally suited for replenishing your stocks! Business cards are handy and practical: they are like little personal signs that you can carry with you wherever you go. Ideally, they should reflect your personality while making a memorable impression on others. 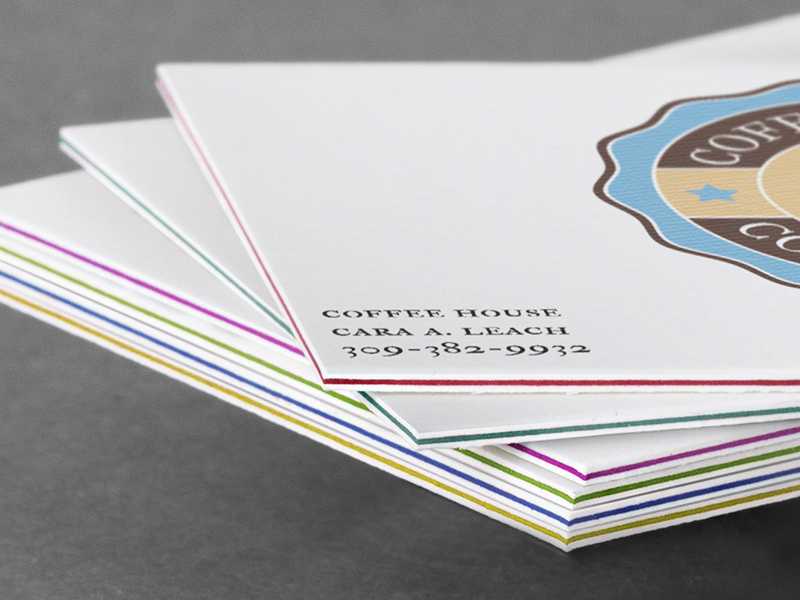 Your business cards are your personal sign, which you always carry with you. These small cards must reveal your personality and above all, mark the minds of your interlocutors. 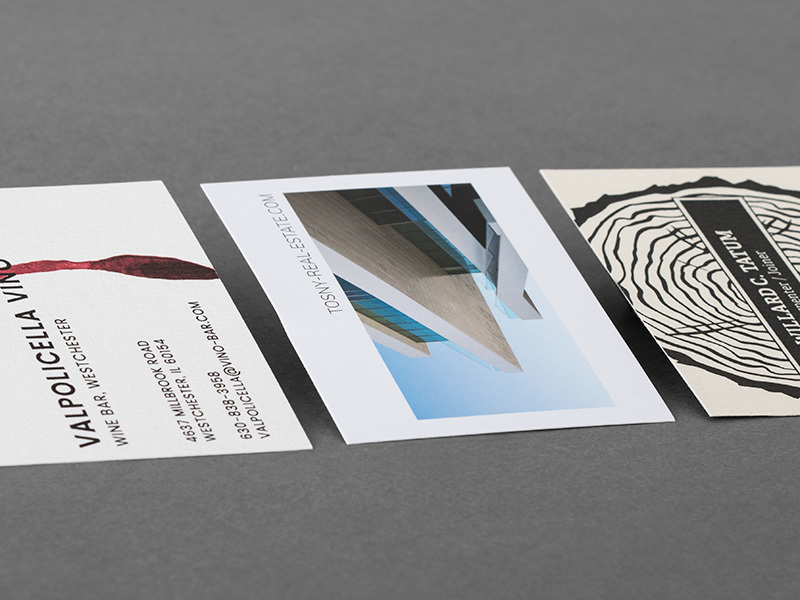 For a little extras, choose business cards made of exclusive or refined material. Here your creativity will have almost no limits. Offer your customers and partners a special feeling! 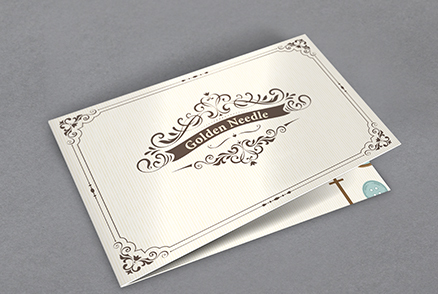 Exclusive materials that give your cards a certain look with a special feel. Exclusive finishes that are convincing with their luster, haptics and individuality. Two formats have weathered the test of time. Why only two, you may ask. Well, for very practical reasons: both formats fit neatly into the integrated pockets and slots of purses and wallets, as well as into the business card cases and storage boxes that are available in a wide range of materials. Cards of this size can, of course, be used for all kinds of things. Traditionally they are handed out to give people your contact information, but they can also perform many other functions for a kaleidoscope of purposes. To cite just one example, as customer loyalty cards. 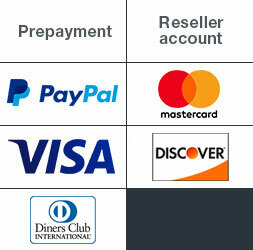 8.5 x 5.5cm is the most commonly used format for credit and debit cards and also the most popular size for business cards. Most of our customers also play it safe by choosing it. It can be printed in landscape or portrait format, whichever makes more sense in view of the amount of text, logos etc. that need to fit onto the card and the orientation of the logo and/or slogan. Whether you should choose a folding business card or the standard double-sided version depends mainly on how much information you want or need to accommodate, as well as the purpose you will be using it for. 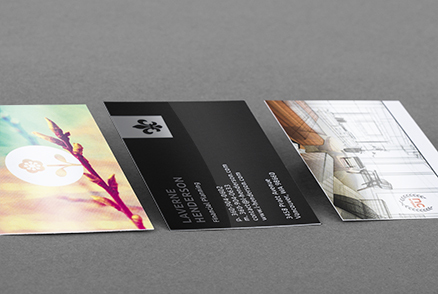 The two-sided version is usually adequate for a classic business card that contains contact data and not much else. But if you’re also planning to include a QR code linking to a video or website, an excerpt from your range of services or products or a sketch showing how to find you, we recommend stepping up to four sides. If nothing else, it makes sure you have room to effectively present all of your information. 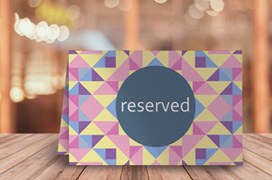 Having been largely abandoned and pooh-poohed as old-fashioned, good old loyalty stamp cards are now staging a comeback. Bakeries, copy shops, gyms, tanning salons and more have avidly re-embraced them. They are usually colourful and printed on four sides so there is enough space to legibly include the fine print in addition to fields for stamping. Which direction should the text run – from top to bottom, or left to right? What is more important to you – eco-friendliness or making a brilliant impression? How much information do you want to accommodate – just your address data, or also your service or product portfolio? What industry are you active in – fashion, technology, consulting, retailing, restaurants etc.? Which kinds of colours go well with you and your business – bright or subdued? How would you describe your colleagues and competitors – are they conservative or progressive? What elements are dictated by your logo, in terms of colour and/or typeface? What should your card stand up to – moisture or frequent handling? Once you’ve answered these questions, you have established the main parameters for designing and printing your bespoke business cards. 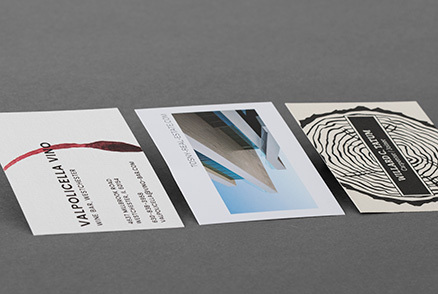 Take Lessons from a Professional Layout Artist on Designing Business Cards That Really Work! 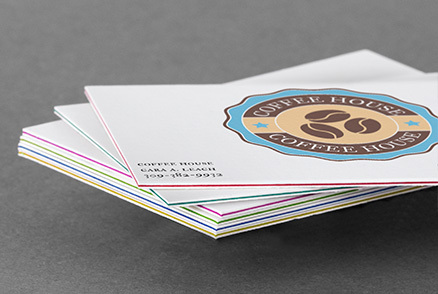 To enable you to easily create your own business cards in future, we have worked with a layout expert to prepare a book entitled “Designing Business Cards” for you. These 12 detailed sections are followed by brief discussions of the two possible orientations (landscape and portrait), structuring information, choosing the right paper and finishing options. Take advantage of our knowledge and design your personal business cards with our help – just as professionally as an expert graphic artist. There are no laws on where and how to store and carry business cards; that’s up to each individual. However, experience has shown that certain ways are more effective for preserving their freshly printed look as long as possible. Holders and cases are a classic way to keep business cards looking sharp. They are available in a wide range of materials including leather, stainless steel, silver, plastic and wood. At meetings, seminars, trade fairs or other events, it looks impressive when you take the case out to pass along your business card to a prospective customer. They generally only hold a fairly small number of cards, however, so it makes sense to also keep a well-stocked larger storage box in your desk drawer. Wallets and briefcases are very popular for storing and transporting business cards. It makes sense, as businesspeople almost inevitably take one or the other or both along when travelling. The problem is that the material they are made of – usually genuine or imitation leather – means they are less sturdy than a dedicated card holder or case. Moreover, the cards’ surfaces are only rarely completely covered. They are therefore highly prone to crumpling, dog-ears and ink rub-off. Some wallets and briefcases can also stain their contents. The upshot: if you’d rather hand out business cards that still look like new even after the tenth trip, purchase a professional case. Or at the very least, carefully inspect your cards before each journey to make sure that you only distribute ones that still look like new. 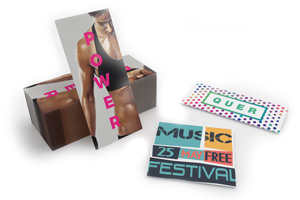 Storage boxes for business cards are often made of cardboard or plastic and available in various sizes. They are ideal for keeping a large number of cards on hand while reliably preventing them from getting ragged corners, fading or becoming scratched. Although more and more purses and handbags now also include pockets or special compartments for business cards, sadly they are not very effective in preventing crumpling, worn corners and rub-off. What’s more, they are open at the top for quick and easy access. The “rub” is that they can also easily slide out and tumble wildly about inside the purse. The resulting wear renders them unusable. We therefore urge you to store them in a protective holder. 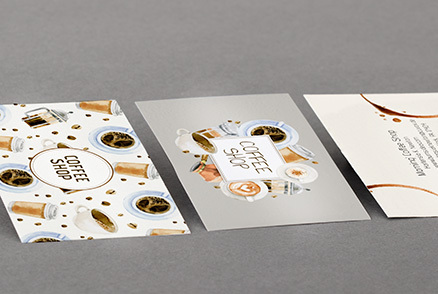 You do want your cards’ appearance to reflect the quality of your products or services, don’t you? Explore the wide range of print products available from PrintCarrier.com! All of our topics at a glance: Product Group Business Cards, Classic Business Cards, Laminated Business Cards, Business Cards on Natural and Eco-Friendly Papers, Business Cards with Scoring Fold, MultiLoft® Colour Core Business Cards, Business Cards Package.